High Tea, Morning Tea, Afternoon Tea are a popular indulgence today . 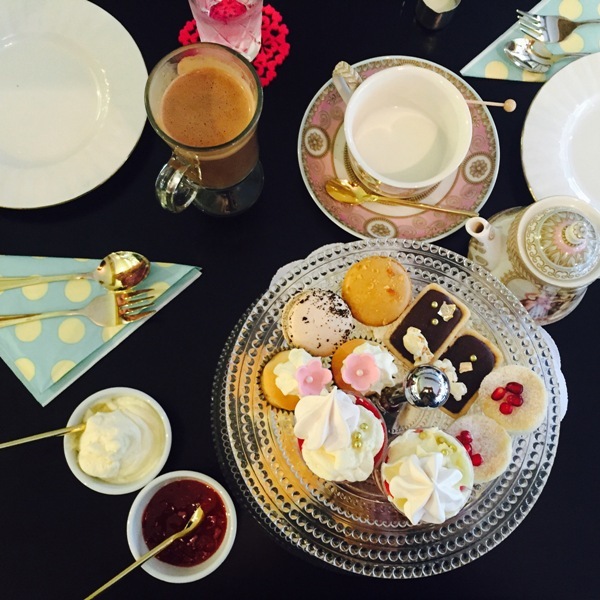 A chance to meet up and enjoy a little tea drinking elegance while nibbling on some delectable treats is a lovely way to celebrate any occasion or just because you can. Recently I took my daughter along with me to review Soiree Cakes. This cake shop offers not only spectacular Specialty Cakes but also High Tea. Click here to read my review. The crepe cake looks divine. As do so many of the others. What a wonderful review. I think I gained a stone of weight just looking at all those amazing delicacies. Thanks Miriam yes my daughter and I felt a tightness in the waist after that visit!